During the recent Christmas break, my family and I headed up to our favorite weekend getaway, Tagaytay. Since we left the house close to lunch, we decided to stop over at Nuvali for lunch. I was tasked to take care of our dining itinerary so I had to do a thorough research given that we're quite a big group of 8. 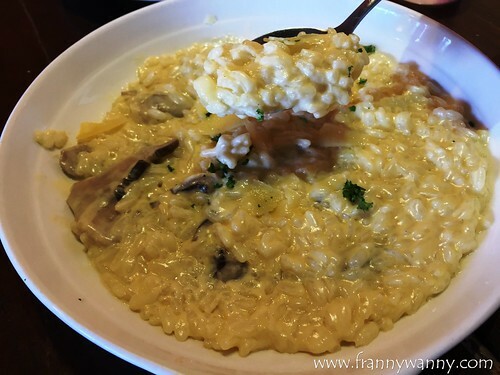 Luckily, I chanced upon Mama Lou's Italian Kitchen's Facebook page and then remembered that I've been wanting to try it out after seeing how my fellow bloggers have been raving about their delicious risotto. I was so happy that they actually have a branch at Solenad 2 and their sister-restaurant Nonna's is located at Solenad 3. Two choices just in case one is really packed! Seeing that we got Kongkong with us, the very efficient server quickly ushered us to a long table with a couch on one side. We let the seniors (heehee) sit inside to make it more comfy for them. Of course, Papa refused to be counted as a senior citizen and insisted to sit on one of the wooden chairs just like us. Poor (or perhaps, lucky) Pan was promoted to the couch area instead. I also got two orders of Bruschetta (Php. 225) which was really good! 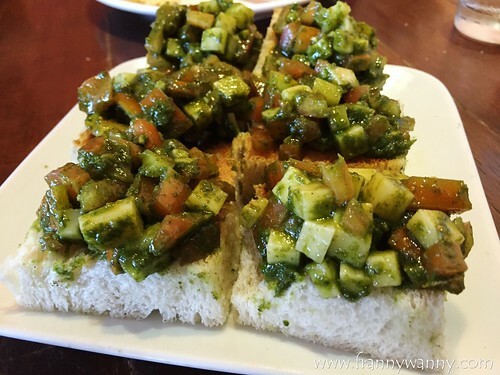 We love the flavorful pesto sauce that fully coated the generous amount of chopped tomatoes and mozzarella cheese. The bread was baked to perfection too! I highly recommend this. 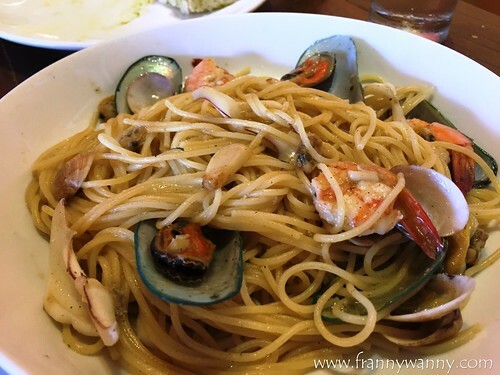 Moving on to our mains, we had the Spaghetti Seafood Olio (Php. 315) which was another terrific dish. Al dente spaghetti noodles tossed in fragrant garlic cloves with four kinds of seafood namely, squid, mussels, clams and shrimps. I forgot to request that they remove the shellfishes but that's fine. 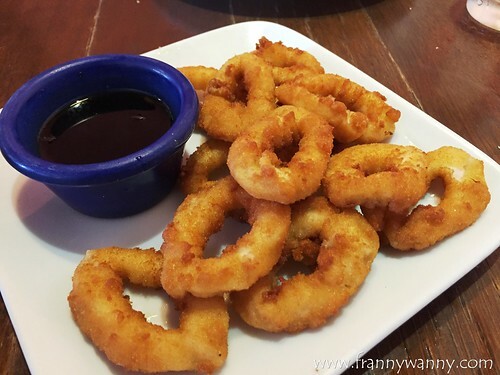 I was too happy with the shrimp, squid and yummy pasta to really make a fuss about it. I guess, the only thing that can be improved was the garlic. Wish they roasted it to make it creamy instead of just tossing it in there which most of us opted to remove and set aside on our plates. Of course, what's a visit to Mama Lou's without trying their mush-raved-about risottos right? Friends have been telling me to try the Buttered Risotto but we opted to go with the Risotto Tartufo Funghi (Php. 325) instead. No regrets there as we all loved the strong aroma of the truffle oil and the texture of the risotto was just right. I love it! 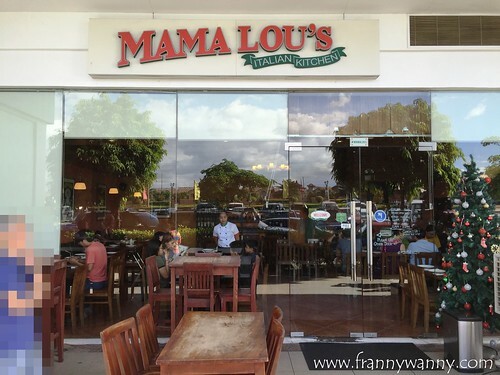 To add to our carb-heavy meal, we also tried the Mama Lou's Special Pizza (Php. 350/450) which was an interesting combination of sweet ripe mangoes, tomato, mozzarella, arugula, prosciutto and balsamic cream. It was really yummy! It came with a small serving of alfala which we all added on top of our slice of pizza and rolled it up like a panizza. Another highly recommended dish at Mama Lou's Italian Kitchen. Lastly, we also tried the Salpicao (Php. 295) which was a special request from Kongkong. He saw a photo of this on our way in and requested that we order this to try. I'm glad that the Salpicao didn't disappoint. 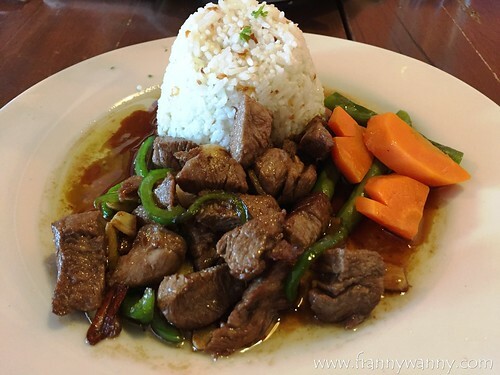 Perhaps if they can make it less salty though but the beef was very tender and of course, we love the garlic rice too. It was a very filling and truly enjoyable meal at Mama Lou's Italian Kitchen. As you can see, every dish from start to end was really good and for sure, we will be frequenting this more often. Thankfully, they have a branch in Quezon City so we really don't have to venture out of town just to satisfy our craving for good Italian food the next time around. Perhaps next time, I'll also go try their Buttered Risotto too. 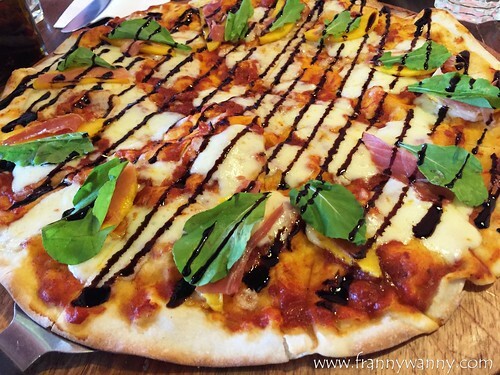 Check out Mama Lou's Italian Kitchen at Solenad 2, Nuvali in Laguna. For inquiries or reservations, call +63-915-789-6262. They also have a branch in UP Town Center and in BF Homes, Paranaque too.